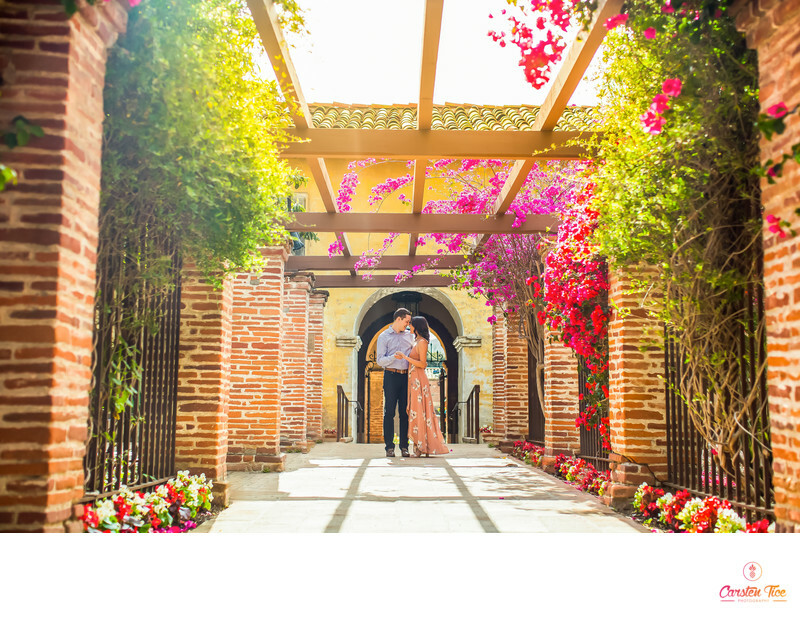 On your wedding day, your photographer is the one person you might spend even more time with than your new spouse, and there’s no better way to break the ice than with some stress-free pre-wedding photos. Being comfortable in front of the camera is a super important (and often overlooked) aspect of great photographs. For people who haven’t spent a lot of time having their photo taken, an engagement session is the perfect warm up before the big day. You’ll get to see your wedding photographer in action. How do they work? What kind of poses do they suggest? What kind of energy do they give off? Once you experience these things first hand, you’ll be extra prepared to spend your wedding day with your own personal paparazzi. Your photographer will get to know you and your fiancé too. They’ll learn how you play off each other’s personalities and will weave together a photo story that is uniquely you. Maybe you’re more excitable and extroverted and your soon-to-be spouse is more reserved and camera shy. A good photographer will illuminate the connection between you and your love no matter what your individual qualities are. Chances are, you’ll even feel closer to each other at the end of the session. If your hair and makeup artist offers a trial run before the wedding, take advantage of being all glammed up and get engagement photos taken! Not only will you get to test out how your look lasts throughout the day, but you’ll also get to see how well it photographs and let your makeup artist know of any tweaks you want for the wedding. Instead of a selfie with bad lighting and awkward angles, why not choose one of your drop-dead gorgeous engagement photos for your Save the Dates? Your wedding guests will appreciate it and be even more excited to share the day with you. Not to mention, a nice canvas or guestbook of your engagement photos would be a classy addition to your sign-in table. On your wedding day, your photographer is going to get so many gorgeous photos of you in your wedding attire. So your engagement session is a great opportunity to have photos taken of you in clothes that are more representative of who you two are in daily life. Let’s be real — wedding dresses and men’s formal wear are not known for being the most comfortable things in the world. So engagement photos let you relax and let your guard down. Feel free to get comfy, creative, and colorful! Most couples even choose to have themselves photographed in multiple outfits for these photos - adding even more variety to the look. So it seems like a no-brainer, huh? Engagement photos rock! Just like on your wedding day, your photographer will walk you through everything and make sure you have fun along the way. Every time you look at these photos, you’ll smile remembering this special time in your life - the excitement in between “will you marry me?” and “I do.” If you happen to get teary-eyed looking at these photos (as many couples do), just wait - your wedding photos will be even more amazing.